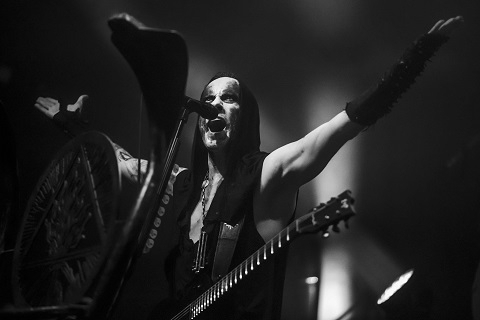 After experiencing a great show so far, I was very pleasantly surprised at how Behemoth raised everything to a different level, with both their sound and the production. The show began with “Solve,” a song of children chanting that echoed throughout the venue while the crew members set up the stage and the room plunged into darkness. 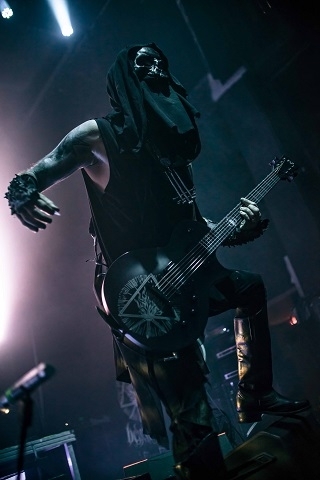 During “Wolves ov Siberia,” they took over the stage wearing black skull masks as crowdsurfers instantly came over the barricade (and I was attempting to dodge them). 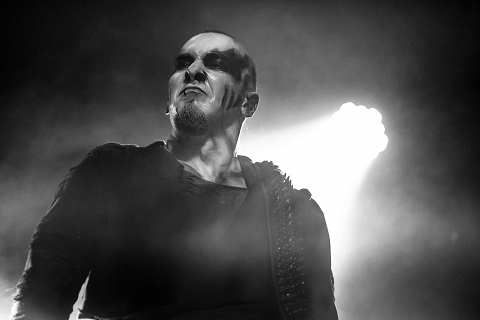 After removing their masks, the show continued with Nergal’s harsh vocals and incredible work from the rest of the band. 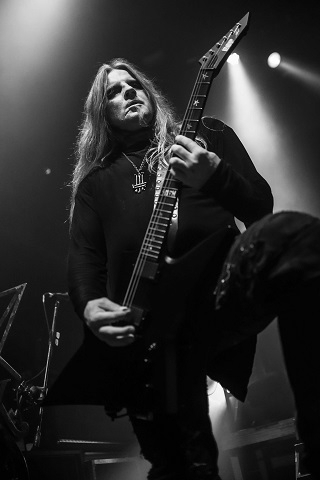 Seth’s guitar work was especially impressive to hear live, and Inferno’s drumkit alone was expansive enough to almost completely shield him from view. 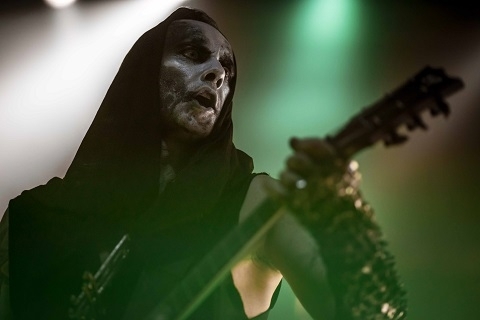 The song that received the biggest reception within the first few chords was “Blow Your Trumpets Gabriel,” where the crowd shouted the lyrics back at Nergal throughout the whole song. 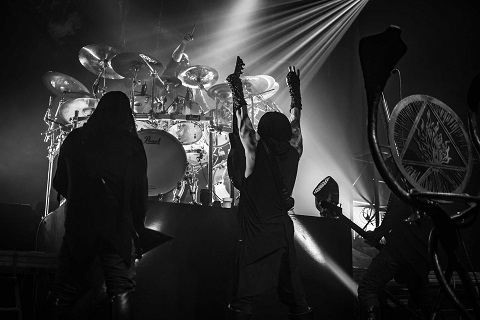 “Conquer All,” “Ov Fire And The Void” and “Lucifer” also inspired the crowd to give Behemoth their all. This show did not have a typical encore, instead they briefly left the stage after “We Are The Next 1000 Years” to grab drums and close the show with the thunderous instrumental ending to I Loved Your At Your Darkest, “Coagvla.” Overall, this was easily one of my favorite metal shows of all time. 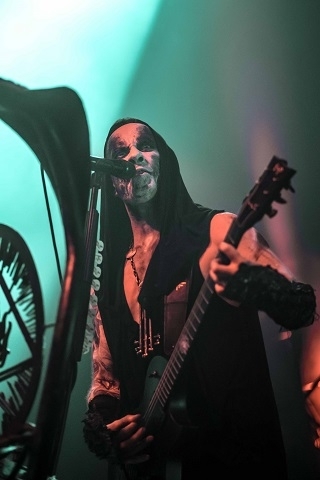 Behemoth received a warm welcome in Atlanta and The Masquerade was intimate enough to make the fans feel a connection, even in the balcony. 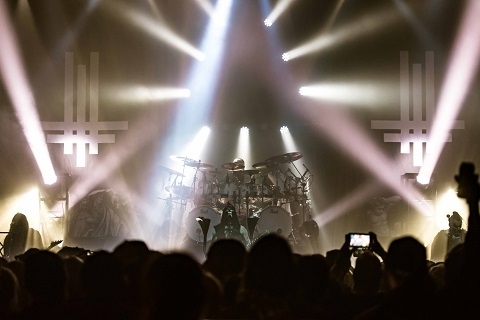 The setlist was also a perfect representation of their career so far, however, I am personally surprised they did not play “O Father O Satan O Sun!” since it’s such an iconic track. 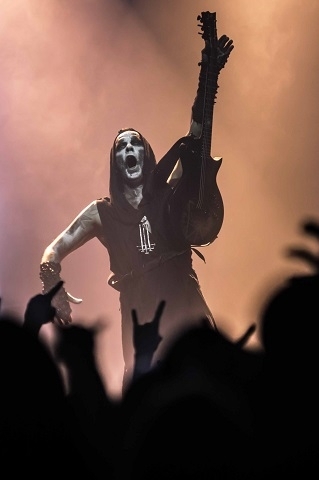 I’m curious to see where this new album will take Behemoth and how controversial (in the best way) it may become, in comparison to The Satanist. 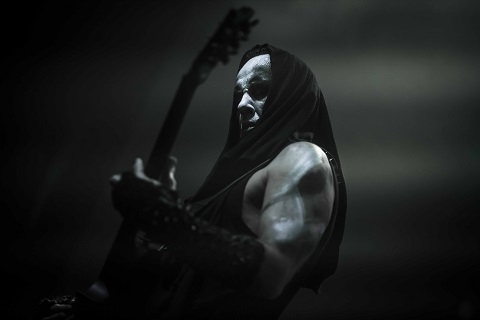 But I do know that it’s inspired Behemoth to create a spectacular show that every metalhead should try to see this fall.